UNTUCKit has teamed up with sustainable lifestyle brand Fair Harbor on an exclusive collection of eco-conscious swimsuits made from recycled plastic bottles collected from oceans and beaches. 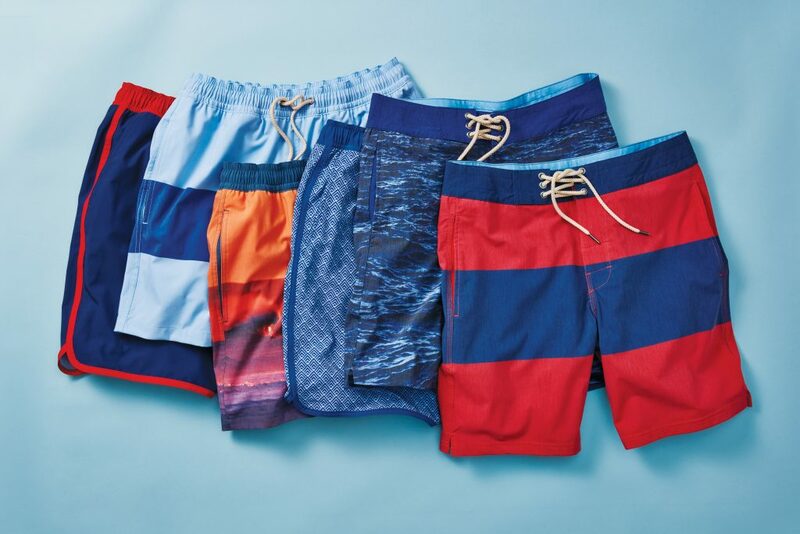 The collection features three of Fair Harbor’s classic fits in six colorways: The Boardshort in red and blue stripes as well as a water photoprint; The Swim Trunk in blue stripes and a beach wave photoprint taken by surf photographer Mike Nelson; The Anchor Swim Short in a red scalloped style and a blue scale print. The six styles are shoppable on UNTUCKit.com, in select UNTUCKit stores and on FairHarborSwim.com. In addition to the product collaboration, UNTUCKit has taken the initiative to help grow the Fair Harbor brand by incubating the swimwear company’s executive team in-house at UNTUCKit headquarters. As experienced retailers in the fashion and entrepreneurial world, UNTUCKit has begun offering real-time insights into helping scale the Fair Harbor brand and business. In return, Fair Harbor has offered its insights on how to help UNTUCKit become more sustainable and more eco-conscious in its business practices.